“Where is everyone?” The house was unusually quiet on the morning of the 24th. No one had come to my room to make sure that I had pulled myself out of bed which, amazingly, I had done all by myself without someone having to flip on my lights, pound on my headboard, or sing an annoying little song. It was about 6:45am and the house was all quiet, so being a carefree 9th grader I thought nothing of it and just got dressed happy that I didn’t have to fight for the one bathroom in the house. All dressed, I slung my backpack over my shoulder and was off to catch the bus which, if I didn’t hurry up, would be leaving me behind in a cloud of exhaust. The last room in the house that I passed in the morning belonged to my sisters and upon passing the room I noticed that’s where everyone was. For some reason everyone was congregated there crowded around the bed of the younger of my two older sisters. Because I am my father’s child and developed an uncanny sense of worry I immediately asked, “What’s wrong with her?” She and her fiance were pregnant and, at this point she was due any day now and she was big, oh man she was big, I remember preganacy made her perpetually hungry and her hair really, really pretty but she was BIG. 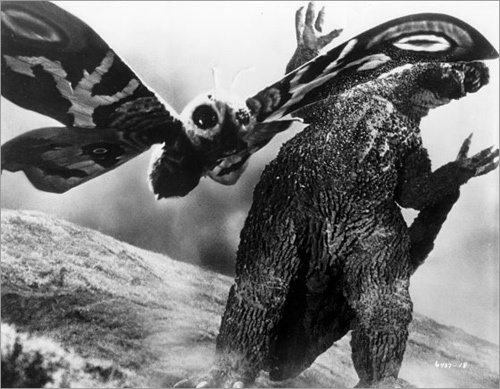 Godzilla vs. Mothra big. Ever the opportunist and looking for any reason not to go to Avondale High School for the day my first question was, “Can I stay home”, which got me an immediate “no” and a look that said “take your behind to the bus stop”. I didn’t know what to say to big sis, I knew that labor hurt for women and that there was alot of screaming involved…that was all that TV had taught me at the time and truth be told it was all I wanted to know at that age. I think before I left the room I said something cheesy like “Good luck” or something equally as inappropriate and then made my way to the bus stop before Mom threw a shoe at me. All I could really think about after football practice that day was getting to the hospital. I walked home from school and, of course, no one was home. Honestly I can’t remember who it was that finally came home and took me to the hospital, maybe it was my eldest sister, maybe it was Daddy, I really can’t recall. I do remember asking a bunch of questions and at that point the new little bundle of joy had been here such a short amount of time that they knew about as much as I did. Luckily we only lived about 10 minutes from the hospital so I’d know soon enough. I remember my first thought as I looked at her for the first time. “Is she white?” I mean she was nearly translucent – like Michael Jackson vitaligo light – with jet black hair all over her great big head. She had great big brown eyes that were darting and alert and she was fuzzy, like a little peach. “Is she supposed to be fuzzy like that?” No one answered, they just laughed at me. 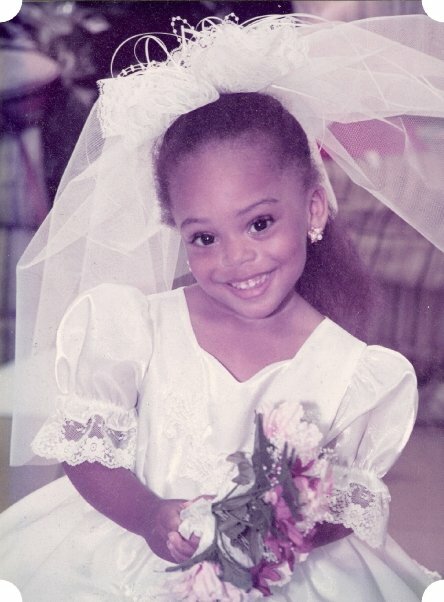 She was beautiful, a perfect little baby girl, a fuzzy baby girl with a big head, but perfect nonetheless. The first time she sat up she did it for me, in the middle of my bed while my sister was away and I was watching her (of course no one believed my report later). I screamed in horror after noticing that she’d put my Honda scooter key in the electrical outlet in the den at about a year old (thank God for Grace, she was never allowed to play with my keys again). I beamed with pride as she sang “I Saw Mommy Kissing Santa Claus” in the Christmas play at Rainbow Elementary in the 2nd grade. I was filled with excitement when she told me that she was going to attend Georgia Southern like I did (I’d have preferred Harvard or Stanford but following my footsteps will do). 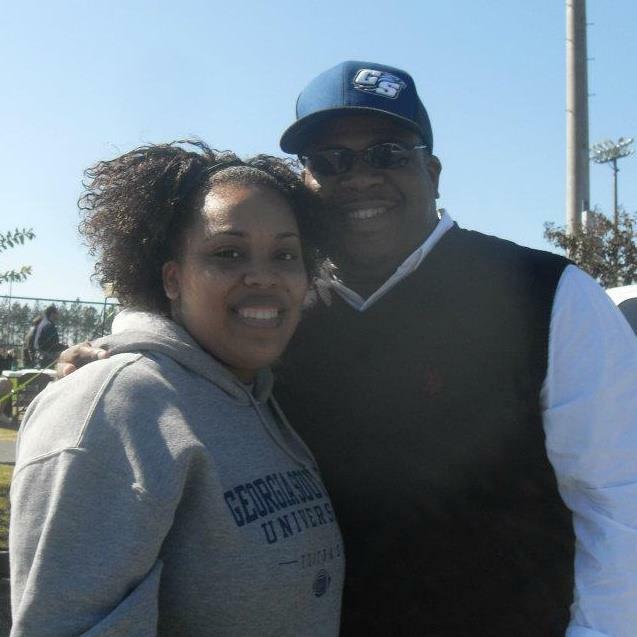 She’s a willing rollercoaster partner, fellow lamenter over the woes of Georgia Southern football, and a beautiful young lady who I have not only thought of as my eldest niece, but almost as a daughter (except I don’t have to support her LOL).